Whether your M5 is suffering from battered ball joints, bashed bushings, or tired tie rod ends, we'll help you rein it in and head it in the right direction again. Suspension components on any vehicle wear out from rough roads and harsh driving conditions. For a company like BMW, known for superior suspension designs and impressive handling, the issue is even more crucial. Many suspension parts don't just fail one at a time and oftentimes when one fails, the matching part on the opposite side is right behind it. 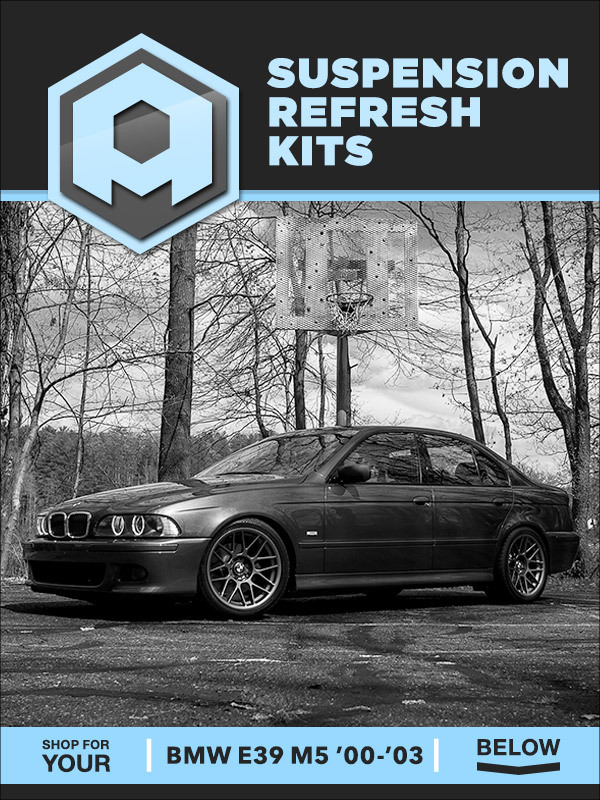 ECS-assembled, and Genuine BMW front, rear, and complete kits are available depending on your current needs - all offering matching components for both sides for a professional job the first time. All times are GMT. The time now is 02:34:55 PM.